To Conquer the Clog, the pumping solution has to be robust and reliable. But that is just one important part of an entire system for processing wastewater. Take a "systems approach" when evaluating the effectiveness of a treatment facility. KSB has a variety of solutions to help design clog-free operations from headworks to discharge. The new F-max impeller with KSB's Amarex KRT and Sewatec waste water pumps. The heartbeat of the hydraulic system is the pump and, more importantly, the impeller. The design and efficient operation of these critical components are essential for successful fluid flow throughout the plant. This is a systemic approach and all components must work together. 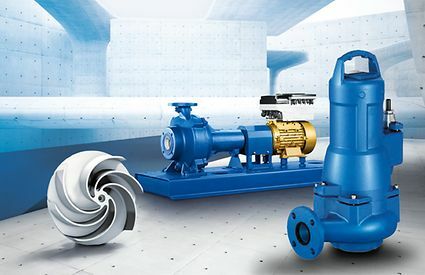 KSB has a full range of Next Generation Impellers that fit virtually any pumping condition. It's important to take a broad "Systemic" approach to Conquering the Clog. 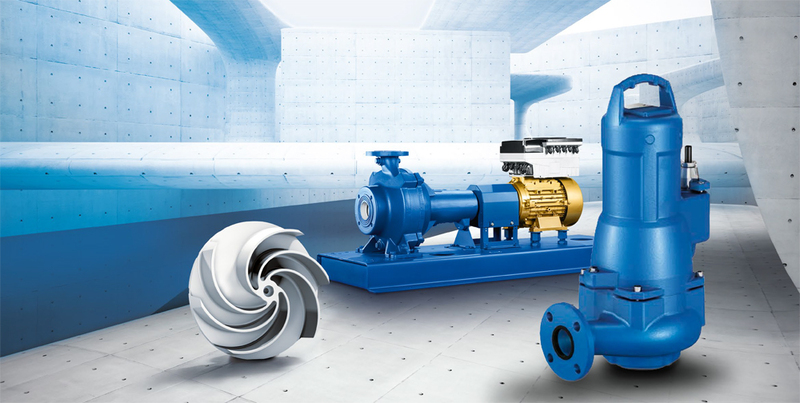 It starts with a good design, and the pump and impeller must fit into that design parameter. When properly executed, it all works together with minimal need for maintenance or downtime. Just like there are many types of wastewater, there are many types of pumps. Knowing which one is suitable for your application requires knowledge of many variables. Learn more as we dive into the KSB line and compare it with other pump technologies.